Instantly elevate any outfit with the elegant GUSSIERY by Django & Juliette. 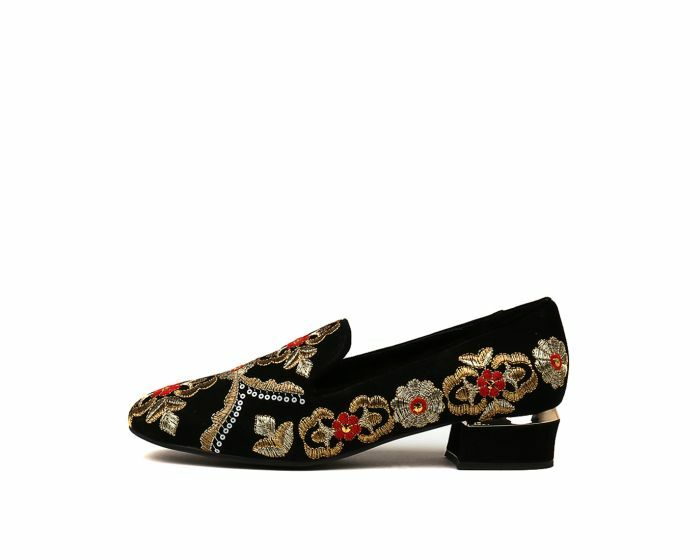 Echoing classic men's Venetian loafers, they're detailed with opulent embroidery and set upon a structural block heel. Teamed with everything from mini dresses to well-seasoned denim, this pair will add an air of grandiosity to your look.